Nikola Tesla, a Serbian immigrant, invented the radio, the induction motor, the neon lamp, and the remote control. 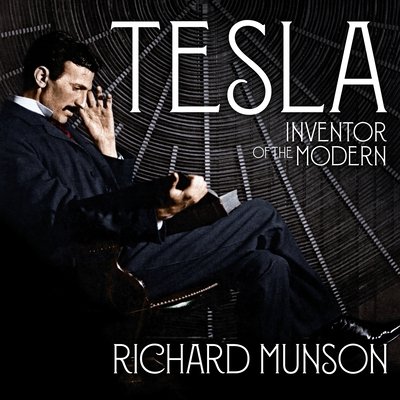 His breakthrough came in alternating current, the basis of the electric grid and long-distance electrical transmission. This pitted him against Thomas Edison's direct current empire, and bitter patent battles ensued. But Tesla's technology was superior, and eventually he prevailed. Unfortunately, he had no business sense and could not capitalize on this success. His most advanced ideas were unrecognized for decades: forty years in the case of the radio patent; longer still for his ideas on laser beam technology. Tesla's personal life was magnificently bizarre. Strikingly handsome and impeccably dressed, he was germophobic and never shook hands. He required nine napkins when he sat down to dinner. In later years he ate only white food and conversed with the pigeons in Bryant Park. This clear, authoritative, and highly readable biography takes account of all phases of this remarkable life.